Think you’re a tooth-brushing pro? 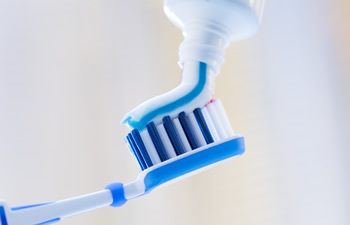 While brushing twice a day is a great first step in taking care of your teeth, the way you’re doing it may not be getting them as clean as you think. Not brushing for long enough. Dentists recommend brushing for 2 to 3 minutes, twice a day. Most of us only clock around 45 seconds to a minute. Brushing too hard. It doesn’t take a heavy hand to remove plaque, and brushing too hard can lead to bleeding gums, gum abrasions, and a wearing away of the protective enamel. Go for a thorough, light touch, instead. Exposing your toothbrush to germs. Most of us keep our toothbrushes in the bathroom on the sink, but this makes it the perfect spot for germs and bacteria to camp out. Covering it while it’s wet also encourages bacteria to grow, and those germs can get transported to your mouth. Let your toothbrush air dry away from the spray-back of your sink or toilet. Using an old toothbrush. How long has your toothbrush been sitting around? If it’s the same one you’ve been using for the past 3-4 months, or one you’ve used while sick, it’s time to replace it. Missing the gum line. The place where your teeth meet your gums is where plaque and tartar like to build up. It’s also a spot commonly missed while brushing your teeth. Make sure you’re brushing gently, but thoroughly, right at your gum line, both in front of and behind your teeth.